Up until a year or two ago, the concept of climbing ice was completely foreign to me. Rock climbing, sure, but ice? Even after learning it existed, I couldn't believe people actually did it. But I tried it, learned more about it, and it's quickly becoming one of my favorite cold weather activities. Here are my top six reasons why you've got to add it to your list of sports to try. (1) It just looks cool. This is indisputable. You're scaling frozen waterfalls, temporary structures, in the cold with sharp objects in your hands and attached to your feet. For some, the concept of climbing a wall of ice seems unfathomable. And if you add in the perceived danger factor, it's as cool as outdoor sports get (pun intended). And it's not just about how cool it looks to everyone else; it looks cool to me. It just looks like fun. As a good friend of mine and veteran ice climber since says, "when else will you be allowed to strap spikes onto your feet and wield a pair of axes?" (2) Ice is really pretty, and every formation is completely unique. Ice can take so many incredible shapes. After you've tried ice climbing, you'll go back to the same formation a year, even a week later, and it will have changed. I visited Ricketts Glen State Park this weekend and the routes looked completely different than they did last year. 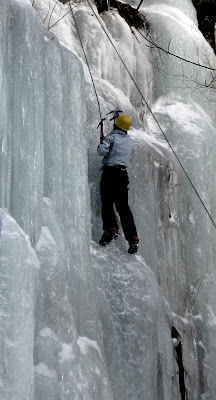 Ice climbing is exciting partly because you are climbing a completely different medium. It can change in a way such that the same climb can have a very different feel a day later. EMS climbing guide Matt looking super cool! Friend Lauren's first time on ice! Though all these toys can put a dent in your bank account, for a gear addict, there's nothing more fun than testing out a new tool. But please, when you're investigating new gear, think hard about whether it's really necessary or not and if there's an environmentally friendly way you can find it. (5) If you want to climb big mountains, it's a skill you'll probably need. Though many snow and ice covered mountains, including Rainier and McKinley, have routes without vertical ice, many, many others do not. 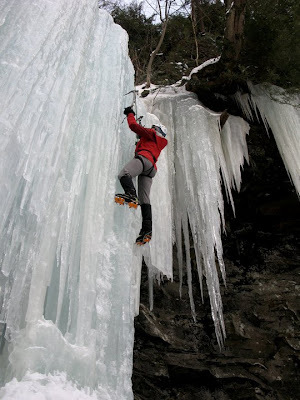 Even if you can climb one route on a mountain avoiding technical ice climbing, you might find the best route up that mountain requires ice skills. The bottom line - it's an important tool for anyone interested in technical alpine climbing. I spent this Sunday out climbing ice in Ricketts Glen State Park with TerraMar Adventures and the Bloomsburg Quest program as an event organizer for the second year in a row. 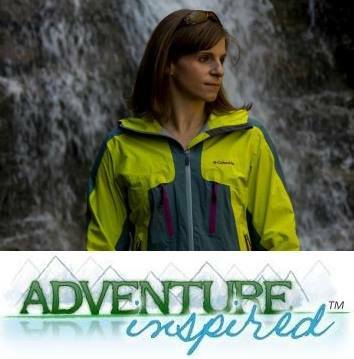 The event filled up within 24 hours of posting it on the TerraMar website, which says to me most people don't need a reason to try ice climbing. They're already psyched to learn about it! 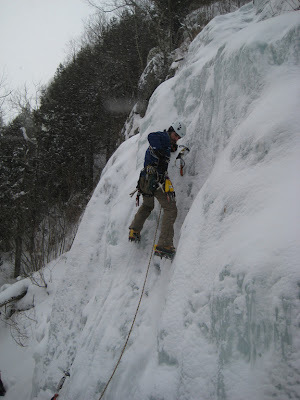 Bloomsburg Quest and the EMS Climbing School helped start me out ice climbing, and there are local guide organizations everywhere to help you get started. Ice climbers, what are some of the reasons you'd give to someone who's never put tool to ice before? looks exciting! maybe next year after a summer of rock climbing! Glad you are enjoying Ice Katie. I know I am. Actually, it's a lot easier on my knees than 3 season rock-climbing. Far less rotational torsion. It's now the primary form of climbing I do. Ice climbing looks like so much fun! I definitely need to try it sometime. I've done plenty of hiking and rock climbing and mountaineering... so this is next! it's definitely a good time! let me know if you ever get a chance to try it.